I buy fruit in bulk when it's in season. Preferably from local farmers when at all possible. 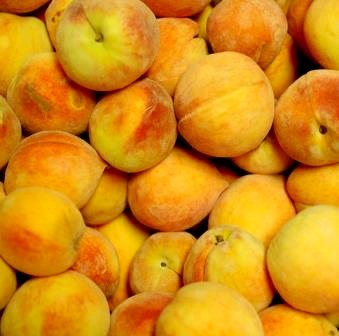 Summertime yields my favorite fruits with the mighty peach being at the top of the list. This summer I managed to get my grubby hands on 75 lbs of the golden globes. They have become jam, jelly, wine, preserves, and one of new favorite ways to use them, in fruit butter. Might I suggest you make some homemade ice cream, a pound cake, or some good old fashioned buttermilk biscuits to go along with the butter? 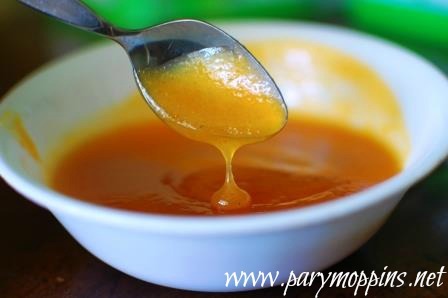 Put the chopped peaches, the vanilla pod, and water in a non-reactive pot and simmer for about 20 minutes or until the peaches are smooshy. Give them a stir now and then. Turn off the heat and take out the vanilla pod. Set aside to dry out and be used in another recipe. With your whizzy (immersion blender) blend until smooth. Mix in the lemon juice and sugar and turn the heat back on, bringing it up to a boil. Simmer again for 30 minutes stirring every once and awhile. To can, put the butter in sterile jars and process in a water bath for 10 minutes. This is part of Full Plate Thursday & Home to 4 Kiddos. 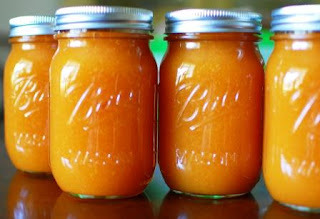 Your Vanilla Peach Butter looks amazing! Thank you so much for sharing your awesome recipe with Full Plate Thursday. Hope you are having a great weekend and come back soon! It tastes even better than it looks Miz Helen! :) Thanks for stopping by! Thank you so much for linking up with "Try a New Recipe Tuesday!" I am featuring this recipe this week! Congratulations! :-) :-) Be sure to grab an "I've been featured" button from my sidebar for your blog. The post should go live around 11pm Eastern on Monday. I hope you will be able to join us again this week. Thanks! That's so nice of you.